As usual it is fun and games on my side of the world. There is very rarely a day goes past that our electricity does not get cut for a couple of hours. Eskom was horribly embarrassed to find themselves in the world news when one of the coal towers fell down because they hadn’t got round to doing any maintenance. They are now scrambling to fix that mess as well as upgrade the national grid. It also seems that I am about to become a rabbit farmer by default. I wont go into how it came about, but I am in the process of fixing up an old cowshed on our property and of course getting all the equipment needed. We should have everything in place for the first breeders by March 2015 and hopefully by the end of that year my husband will be ready to take over. And yes, we already have a buyer on contract and who will take everything we can supply. One of our long standing Gold members Gary Affron, has created a fantastic new module for you. He will be selling it as a WSO, though I don’t know exactly when. Meanwhile, it is now listed permanently under module 009A – The Video Silo System. I have just purchased the ultimate method for creating Landing pages. I have always disliked creating them because I am not very artistic and somehow it seems to take me forever to put one together, yet I know they are essential to building a list and of course building a list is essential to earning an income via the internet. Even better, there is nothing to install as the “software” operates off a web page. It is the easiest method for creating beautiful landing pages that I have come across. YouTube is bringing in a donation button so that viewers can make donations to their favorite non-profit channels. Apparently this is being done to help prevent content creators from moving over to crowd funding channels. Whether it will be made available to everybody in the future, I do not know. At this stage it can only be viewed in the USA and the UK, so I have not been able to see it yet. Meanwhile, if you happen to have a channel with interesting videos and would like to encourage viewers to make a donation, you can pop over to your Paypal account and create a “Donate Button” (make sure you use the email option when copying the code) then head back to your YouTube channel. Put your curser on the top right hand corner of your channel art and a pencil icon will become visible. Click on “edit links” from the drop down menu. Go to Custom Links and change the “0” drop down menu to “1” . In the two boxes below type in “donate” or “buy me a beer/coffee” (whatever you wish) in the left hand box and paste your donate button code into the right hand box and save. This will place a donate link right on your channel art. Google search terms – this was shared by one of our Skype members, but I am embarrassed to say, that I can’t remember who shared it – http://www.googleguide.com/advanced_operators_reference.html – it is however very useful. • Snippets – Change it from time to time to reflect the season or an upcoming vacation period, though you will need to ping that page each time to get the Search Engines to crawl it. • Add a smiling Face – No… not a smiley, a real person with a smiling face. This gives the website a more human and approachable feel and engenders trust..
• Images – There should always be several interesting images on your home page. Make sure you add links to them which bring people to one of your sites pages. 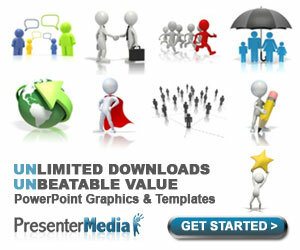 • PDF’s – Provide a PDF for download (with all business details included) describing what the business offers. Include price lists; menu’s; spec sheets or whatever is applicable to that particular business. • Online directories – add the site to as many local online directories as you can find. Markdown Monday – http://www.ytpowerslam.com/MarkDownMonday – Mark offers fantastic markdowns, usually in the region of 85% off. These only run for 24 hours. So don’t forget to pop in there and see what is available each week. If you are a Gold member and would like to join our Skype Group please contact me. Some great tips as ever, thanks Sandy.